Wonford Leisure Centre now has a fully automatic defibrillator for use in cases of Sudden Cardiac Arrest. 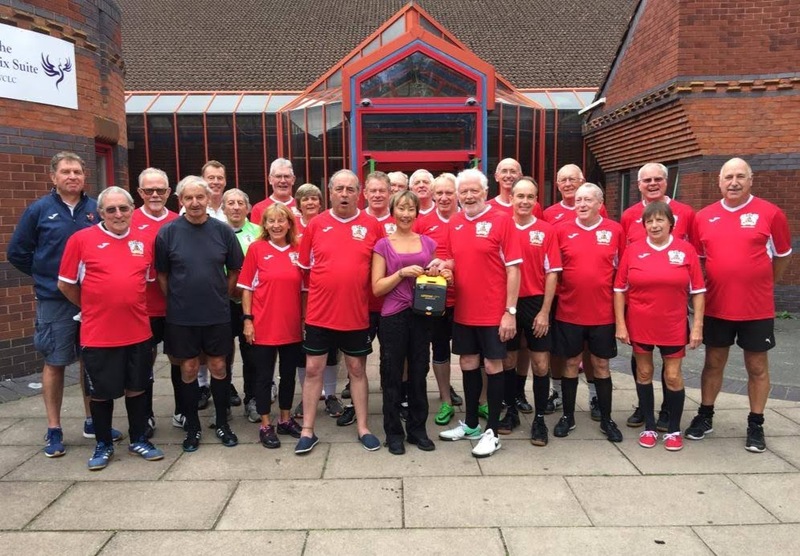 The unit was purchased by Exeter Strollers Walking Football Club which obtained funding from Devon County Council with the support of the county councillor for Wonford & St Loyes, Marina Asvachin. The Strollers, proud wearers of the official Exeter City crest, play at the Centre on Tuesday and Friday mornings and at Exwick Sports Hub on Monday evenings throughout the year. The Club currently has 35 members. Sudden Cardiac Arrest (SCA) is often fatal. However, using cardiopulmonary resuscitation (CPR) along with an Automated External Defibrillator (AED) as soon as possible after the SCA can make the difference between life and death. Staff at Wonford Leisure Centre and members of the Exeter Strollers have been trained to use CPR and an AED. The defibrillator is kept at the Centre except when the Strollers take it to play at a venue where there is currently no such facility. Hopefully, soon all football venues will have their own AED and Wonford’s can remain at the Centre. At a ceremony in Wonford to mark the acquisition of the AED on 11th September, Cllr Marina Asvachin said, “I’d like to praise the collaboration between the Leisure Centre and the Exeter Strollers, which has brought a defibrillator with life-saving potential to Wonford to the benefit of the wider community. I am delighted to see walking football thriving here and involving so many in a sport that brings both health and social benefits”.